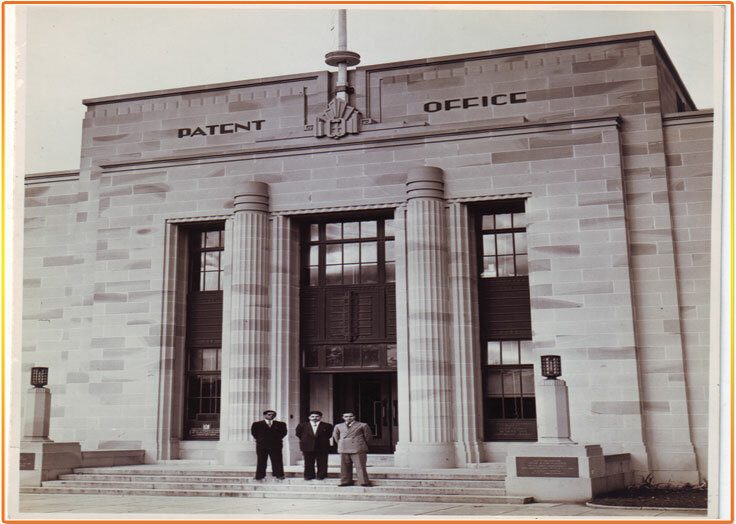 A Group Photograph with The Commissioner & The Deputy Commissioner of Patents, Commonwealth Patent Office, Canberra, Australia, 1952. 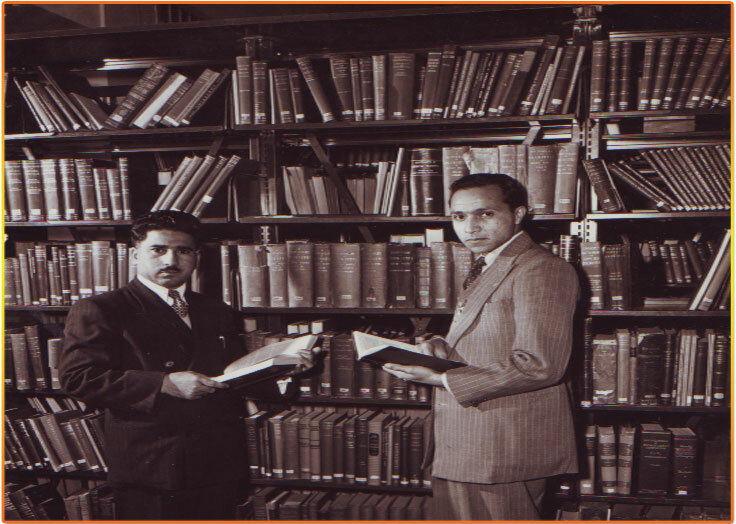 Commonwealth Patent Office Library, Canberra, A.C.T., Australia, 1952; Mr. A. Aziz (Standing Left). Bangalore India: 3-7 Sep., 1979 UNDP, Escap. 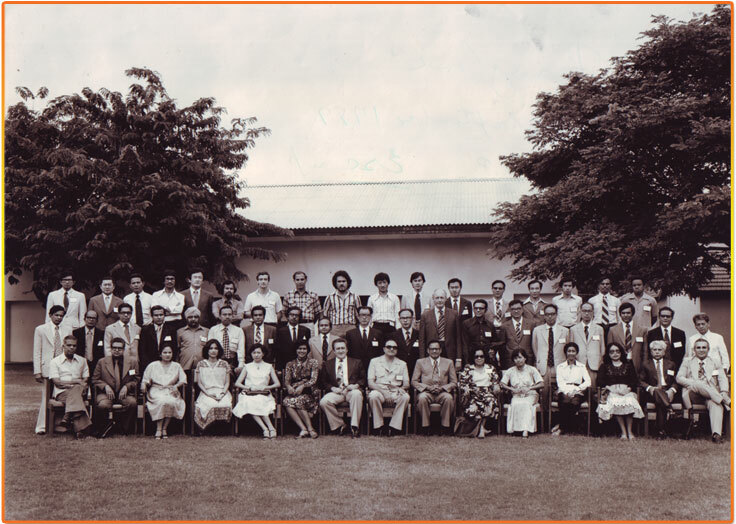 Mr. A. Aziz, seen , second from right (white hair). 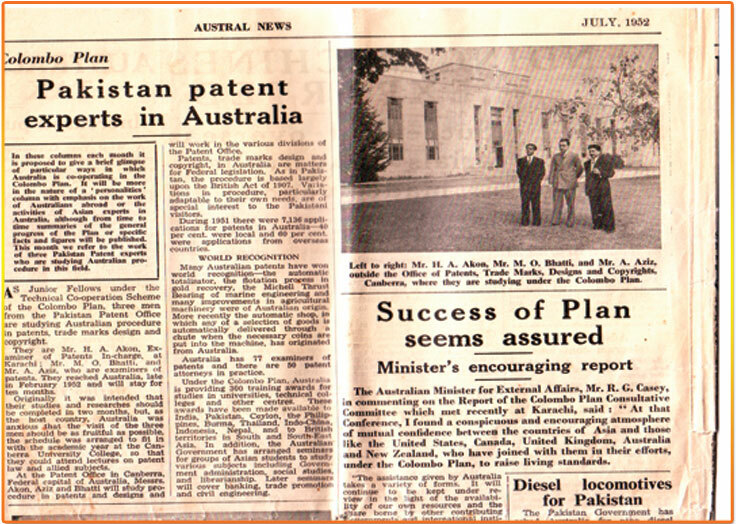 Colombo Plan Article in AUSTRAL NEWS, July, 1952. 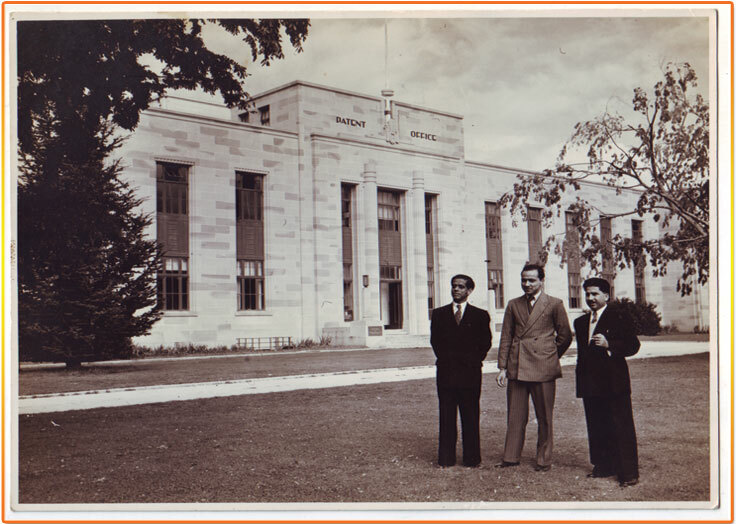 Commonwealth Patent Office, Canberra, Australia 1952; Mr. A. Aziz (Right), Mr. H.A. Khan (Centre), and Mr. M.O. Bhatti (Left). 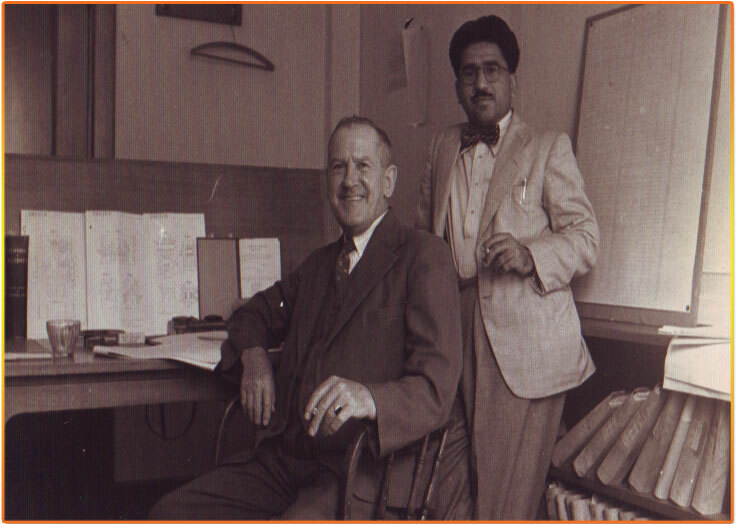 Mr. A. Aziz, seen with The Commissioner of Patents, Commonwealth Patent Office, Canberra, Australia, 1952. 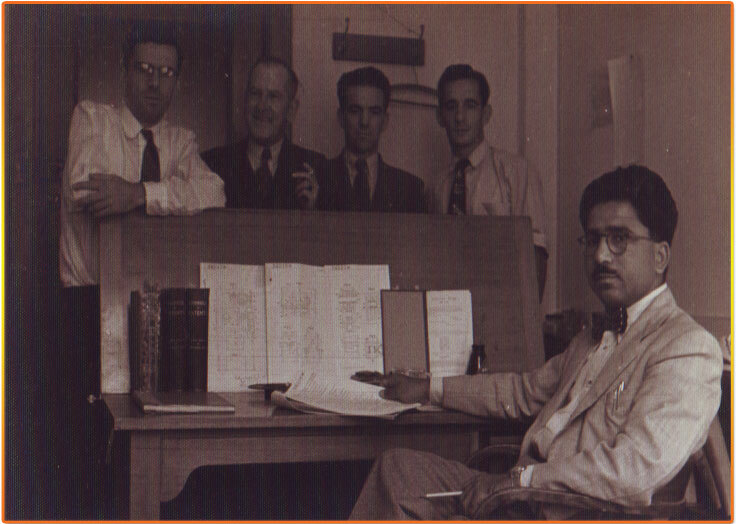 Mr. A. Aziz (Seated), examining Patent Specification and Drawings, Patent Office, Canberra 1952, Colombo Plan Fellowship 1952. 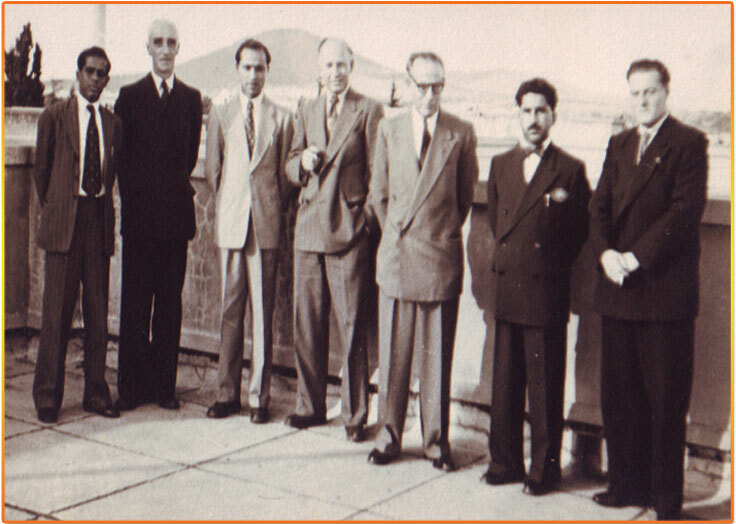 Commonwealth Patent Office, Canberra, Australia 1952; Mr. A. Aziz (Standing in the centre).